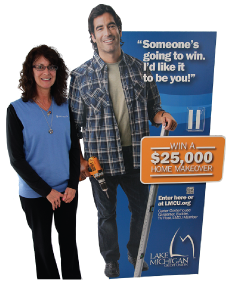 Last year, Kim Millard was that person—the winner of our $25,000 Home Makeover Giveaway. How about this year?Could be you! Watch for coming details in future newsletters. Or just keep your eyes open around town. When it hits, you’ll know!